One of the things that allows you to spot the vile neoliberals (aka free-market capitalists) is their constant appeal to the “hard-working families of this country“. As we enter the last day of the campaign, just count up how many references to “hard working families” you hear from Conservative and Labour politicians. You see, we all like to think of ourselves as ‘hard working families’ (if we are lucky enough to have a job at all) because we have been indoctrinated/conned from an early age by the neoliberal establishment (which includes the establishments schools and churches) into believing hard work is a virtue for which you eventually get your just reward (in heaven, if not in this life). This is a a long established con trick, but one of which the latest generation of neoliberal ‘elite’ (the hereditary old-Etonian elite that runs the Conservative Party and those aspiring to join the elite, in Blair and Kinnock’s footsteps, in the Labour Party) have gained renewed vigour for. They have read their history books and see with glee what the Victorian industrialists got away, hence the return to those kind of days with a ubiquitous minimum wage for the minions that they can’t actually live on, zero hours contracts to keep them grateful for whatever scraps they are given, the decimation of their ability to organise, and the removal of free public services that may over-educate them or allow them to live too long. And this is just from the first three pages, in which close to half the items listed were focussing on our abysmal pension provisions. Makes you proud to be British, doesn’t it? 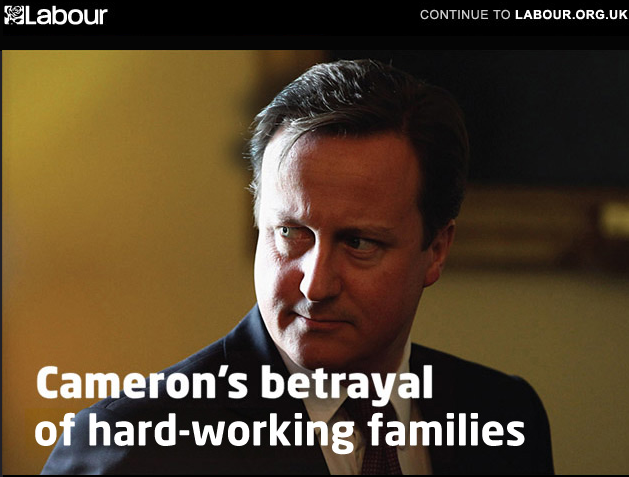 This is the legacy of the decades of joint Conservative/Labour rule that we are going to see re-endorsed tomorrow. 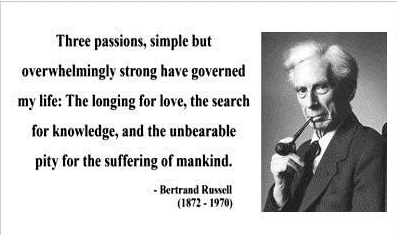 Returning to the “hard working families” con job, I stumbled across an essay by the great British philosopher, mathematician, historian, writer, social critic and political activist, Bertrand Russell when I was at University, during Thatcher’s first term. It has shaped my whole outlook on life ever since. Before, I present it to you, let me anticipate your response. You will grin broadly and think “Typical Andy! That sounds like him!” and then, as I insist it is genuinely the model we should be aspiring to and working for, you will think something like “Well, wouldn’t it be lovely, but it is just idealistic nonsense, isn’t it?” As you do so, perhaps you may begin to reflect on just how well you have been indoctrinated. The essay is entitled “In Praise of Idleness”. Russell published it in 1932, and as such some of its comments about Russia and women need to be kept in historical context, but apart from this it is as accurate and valid today, if not more so, than it was then. I make no apologies for reprinting it in full below (from here). Read it carefully, and perhaps you may become just a little more reticent about endorsing the bastards championing the “hard working family”! Like most of my generation, I was brought up on the saying: ‘Satan finds some mischief for idle hands to do.’ Being a highly virtuous child, I believed all that I was told, and acquired a conscience which has kept me working hard down to the present moment. But although my conscience has controlled my actions, my opinions have undergone a revolution. 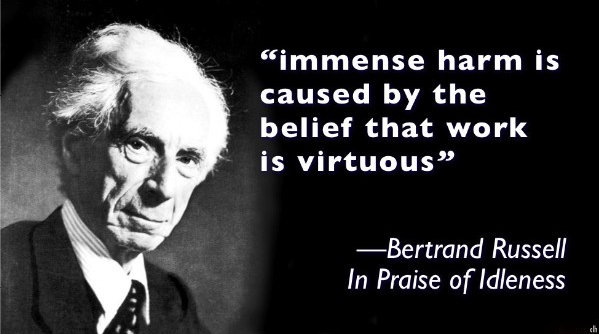 I think that there is far too much work done in the world, that immense harm is caused by the belief that work is virtuous, and that what needs to be preached in modern industrial countries is quite different from what always has been preached. Everyone knows the story of the traveler in Naples who saw twelve beggars lying in the sun (it was before the days of Mussolini), and offered a lira to the laziest of them. Eleven of them jumped up to claim it, so he gave it to the twelfth. this traveler was on the right lines. But in countries which do not enjoy Mediterranean sunshine idleness is more difficult, and a great public propaganda will be required to inaugurate it. I hope that, after reading the following pages, the leaders of the YMCA will start a campaign to induce good young men to do nothing. If so, I shall not have lived in vain. Before advancing my own arguments for laziness, I must dispose of one which I cannot accept. Whenever a person who already has enough to live on proposes to engage in some everyday kind of job, such as school-teaching or typing, he or she is told that such conduct takes the bread out of other people’s mouths, and is therefore wicked. If this argument were valid, it would only be necessary for us all to be idle in order that we should all have our mouths full of bread. What people who say such things forget is that what a man earns he usually spends, and in spending he gives employment. As long as a man spends his income, he puts just as much bread into people’s mouths in spending as he takes out of other people’s mouths in earning. The real villain, from this point of view, is the man who saves. If he merely puts his savings in a stocking, like the proverbial French peasant, it is obvious that they do not give employment. If he invests his savings, the matter is less obvious, and different cases arise. One of the commonest things to do with savings is to lend them to some Government. In view of the fact that the bulk of the public expenditure of most civilized Governments consists in payment for past wars or preparation for future wars, the man who lends his money to a Government is in the same position as the bad men in Shakespeare who hire murderers. The net result of the man’s economical habits is to increase the armed forces of the State to which he lends his savings. Obviously it would be better if he spent the money, even if he spent it in drink or gambling. First of all: what is work? Work is of two kinds: first, altering the position of matter at or near the earth’s surface relatively to other such matter; second, telling other people to do so. The first kind is unpleasant and ill paid; the second is pleasant and highly paid. The second kind is capable of indefinite extension: there are not only those who give orders, but those who give advice as to what orders should be given. Usually two opposite kinds of advice are given simultaneously by two organized bodies of men; this is called politics. The skill required for this kind of work is not knowledge of the subjects as to which advice is given, but knowledge of the art of persuasive speaking and writing, i.e. of advertising. From the beginning of civilization until the Industrial Revolution, a man could, as a rule, produce by hard work little more than was required for the subsistence of himself and his family, although his wife worked at least as hard as he did, and his children added their labor as soon as they were old enough to do so. The small surplus above bare necessaries was not left to those who produced it, but was appropriated by warriors and priests. In times of famine there was no surplus; the warriors and priests, however, still secured as much as at other times, with the result that many of the workers died of hunger. This system persisted in Russia until 1917 , and still persists in the East; in England, in spite of the Industrial Revolution, it remained in full force throughout the Napoleonic wars, and until a hundred years ago, when the new class of manufacturers acquired power. In America, the system came to an end with the Revolution, except in the South, where it persisted until the Civil War. A system which lasted so long and ended so recently has naturally left a profound impress upon men’s thoughts and opinions. Much that we take for granted about the desirability of work is derived from this system, and, being pre-industrial, is not adapted to the modern world. Modern technique has made it possible for leisure, within limits, to be not the prerogative of small privileged classes, but a right evenly distributed throughout the community. The morality of work is the morality of slaves, and the modern world has no need of slavery. The idea that the poor should have leisure has always been shocking to the rich. In England, in the early nineteenth century, fifteen hours was the ordinary day’s work for a man; children sometimes did as much, and very commonly did twelve hours a day. When meddlesome busybodies suggested that perhaps these hours were rather long, they were told that work kept adults from drink and children from mischief. When I was a child, shortly after urban working men had acquired the vote, certain public holidays were established by law, to the great indignation of the upper classes. I remember hearing an old Duchess say: ‘What do the poor want with holidays? They ought to work.’ People nowadays are less frank, but the sentiment persists, and is the source of much of our economic confusion. If the ordinary wage-earner worked four hours a day, there would be enough for everybody and no unemployment — assuming a certain very moderate amount of sensible organization. This idea shocks the well-to-do, because they are convinced that the poor would not know how to use so much leisure. In America men often work long hours even when they are well off; such men, naturally, are indignant at the idea of leisure for wage-earners, except as the grim punishment of unemployment; in fact, they dislike leisure even for their sons. Oddly enough, while they wish their sons to work so hard as to have no time to be civilized, they do not mind their wives and daughters having no work at all. the snobbish admiration of uselessness, which, in an aristocratic society, extends to both sexes, is, under a plutocracy, confined to women; this, however, does not make it any more in agreement with common sense. In the new creed which controls the government of Russia, while there is much that is very different from the traditional teaching of the West, there are some things that are quite unchanged. The attitude of the governing classes, and especially of those who conduct educational propaganda, on the subject of the dignity of labor, is almost exactly that which the governing classes of the world have always preached to what were called the ‘honest poor’. Industry, sobriety, willingness to work long hours for distant advantages, even submissiveness to authority, all these reappear; moreover authority still represents the will of the Ruler of the Universe, Who, however, is now called by a new name, Dialectical Materialism. The victory of the proletariat in Russia has some points in common with the victory of the feminists in some other countries. For ages, men had conceded the superior saintliness of women, and had consoled women for their inferiority by maintaining that saintliness is more desirable than power. At last the feminists decided that they would have both, since the pioneers among them believed all that the men had told them about the desirability of virtue, but not what they had told them about the worthlessness of political power. A similar thing has happened in Russia as regards manual work. For ages, the rich and their sycophants have written in praise of ‘honest toil’, have praised the simple life, have professed a religion which teaches that the poor are much more likely to go to heaven than the rich, and in general have tried to make manual workers believe that there is some special nobility about altering the position of matter in space, just as men tried to make women believe that they derived some special nobility from their sexual enslavement. In Russia, all this teaching about the excellence of manual work has been taken seriously, with the result that the manual worker is more honored than anyone else. What are, in essence, revivalist appeals are made, but not for the old purposes: they are made to secure shock workers for special tasks. Manual work is the ideal which is held before the young, and is the basis of all ethical teaching. The fact is that moving matter about, while a certain amount of it is necessary to our existence, is emphatically not one of the ends of human life. If it were, we should have to consider every navvy superior to Shakespeare. We have been misled in this matter by two causes. One is the necessity of keeping the poor contented, which has led the rich, for thousands of years, to preach the dignity of labor, while taking care themselves to remain undignified in this respect. The other is the new pleasure in mechanism, which makes us delight in the astonishingly clever changes that we can produce on the earth’s surface. 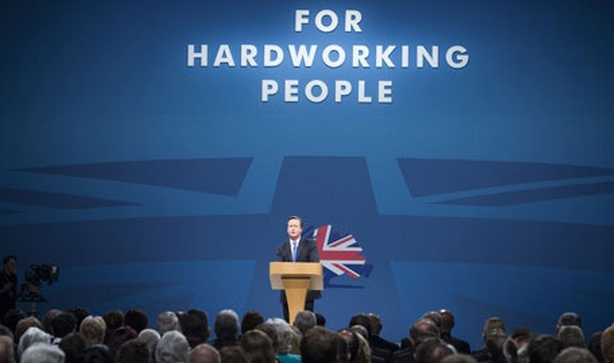 Neither of these motives makes any great appeal to the actual worker. If you ask him what he thinks the best part of his life, he is not likely to say: ‘I enjoy manual work because it makes me feel that I am fulfilling man’s noblest task, and because I like to think how much man can transform his planet. It is true that my body demands periods of rest, which I have to fill in as best I may, but I am never so happy as when the morning comes and I can return to the toil from which my contentment springs.’ I have never heard working men say this sort of thing. They consider work, as it should be considered, a necessary means to a livelihood, and it is from their leisure that they derive whatever happiness they may enjoy. This entry was posted in Uncategorized on May 6, 2015 by Bridgend's Green Leftie.